Wingers are the most underrated players in FIFA 19. Several gamers prefer to play with no winger and prefer to have more attacking midfielders in their team. The main reason for this is the number of wingers, who really stand out, is really low. When Manchester United swapped Alexis Sanchez for Henrikh Mkhitaryan, many thought it was a steal. There were claims that it was a day-light robbery and Arsenal were going to regret it. However, things have not gone that way and Arsenal have come off the winners from that swap-deal. Sanchez has not performed well at all at United and has only made an impact in a handful of games. One such performance did come against his former side, Arsenal, earlier this month, but that was about it. 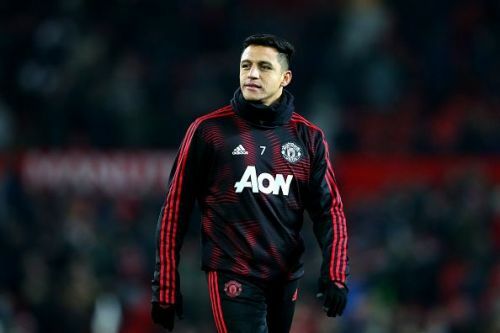 He has been a benchwarmer for a long time and looking at the way the current XI is playing under Ole Gunnar Solskjær, the former Barcelona star might not make it to the first team at all. Despite his poor form in 2018, EA gave him a rating of 87! The winger was indeed very good during his days at Arsenal but 6 months of below-par performances should have not got him such a high rating. The poor form continued and now, EA are set to give him a downgrade. The Chilean might be set for a push down to 85 with Raheem Sterling taking his rating of 87 in the game. The Manchester City man is currently at 85 and is bound to get an upgrade.